It says “…to animals without cones, the rainbow doesn’t exist.” How do we know that? Cone cells are adapted for vision in brighter light and can detect different colors. 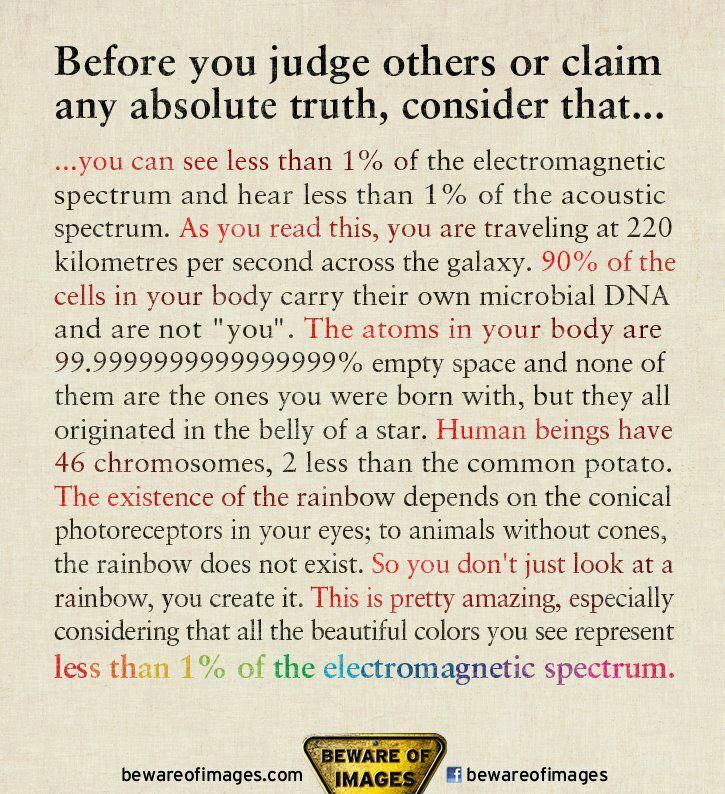 To learn how this is tested,do a net search regarding your question: “how are animals tested to see colors”. The eye contains rods to detect motion & cones for colors. Some species have more or less ‘cones’. That may be, but surely that is not all there is to perception. A child raised by wolves will have night vision that seems physically impossible to us. And near-death experiencers who are blind from birth see light and color when they are out of the body, although their eyes are dead. I appreciate you writing though because I did not know why science comes up with statements about animals without really understanding an animal’s perceptual experiences.